As an administrator, you have to create hundreds of policies to put your organization’s complex requirements into effect. But policy management can be really difficult because these organizational requirements are often in a state of constant flux. Imagine trying to manage all your GPOs with the GPMC. You’d have to create GPOs, link them individually to hundreds of OUs, and then remove the link to each OU when requirements change. Then you’d have to link those GPOs again individually to a different set of OUs, enforce or remove enforcement one by one, delete GPOs one by one, and so on. What you really need is an AD management solution which will let you manage all your GPOs effortlessly from a simple console. ADManager Plus is one such tool that can help you handle a wide spectrum of GPO-related tasks. And with the latest version of ADManager Plus, it’s easy to perform various GPO management actions. Create GPOs and link them to multiple OUs or sites right away. Enable or disable multiple GPOs and delete GPOs in bulk. View available GPOs and GPO links and perform various GPO link management actions, including enforcing or removing enforcement of links, blocking or unblocking inheritance, enabling or disabling GPO links, and removing GPO links. You can also edit the administrative template settings of both user and computer configurations of GPOs too. Well, that covers almost all your GPO management needs, doesn’t it? Create and link GPOs: As shown in the figures below, you can only link a GPO to one OU at a time when using the GPMC. With ADManager Plus, you can link a GPO to multiple OUs at once, saving you time and effort. 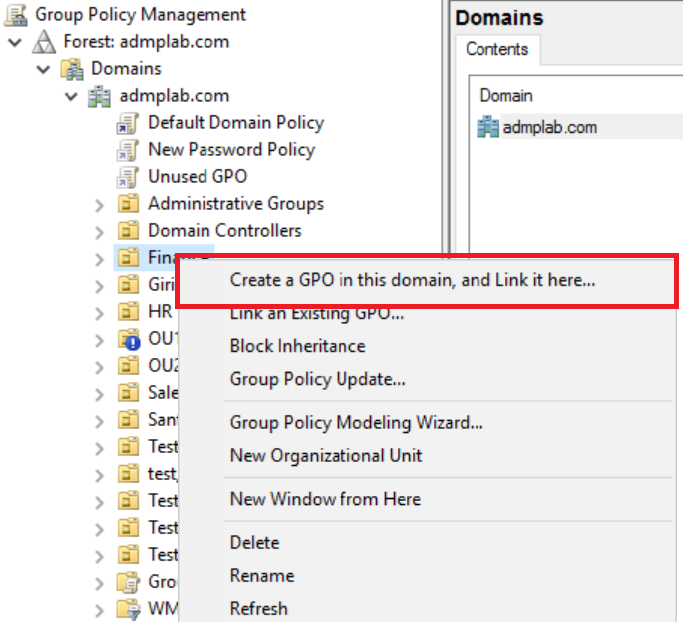 GPMC: Create a GPO and link to OUs one by one. 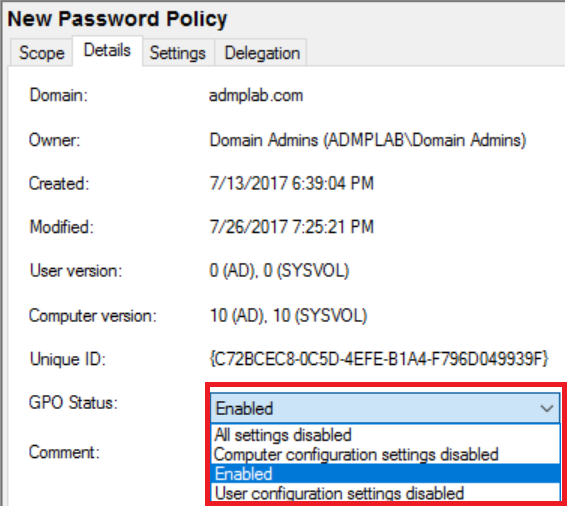 ADManager Plus: Create a GPO and link it to multiple OUs. Manage GPOs and GPO links: Using the GPMC, you can only manage GPOs and GPO links individually. However, using ADManager Plus, you can manage multiple GPOs and GPO links at once. GPMC: Manage GPO links one by one. ADManager Plus: Manage multiple GPO links at once. GPMC: Manage GPOs one at a time. ADManager Plus: Manage multiple GPOs together. Suffice to say, wisest are the administrators who use ADManager Plus to manage their GPOs. ADManager Plus also helps administrators create and modify users, computers, groups, contacts, and other AD objects in bulk. With AD reports, ADManager Plus gives administrators detailed information about AD objects so they can make informed decisions. Administrators can also delegate some of their tasks to help desk technicians with limited privileges, giving them time to focus on more important issues. ADManager Plus’ workflow feature helps admins regulate help desk technicians’ actions, while the AD automation feature streamlines repetitive tasks such as creating and modifying users, groups, computers, and contacts, resetting passwords, and creating mailboxes. Administrators can also manage objects in other platforms such as Office 365 and Exchange and get insights about them through reports. Try the latest version of ADManager Plus for free and feel the difference in AD management.